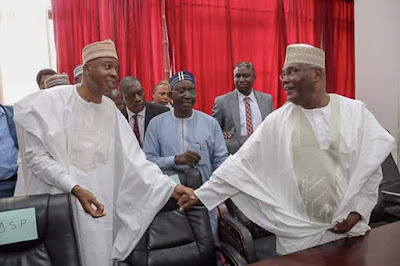 Presidency, Police In Fresh Plot To Arrest Saraki Tonight? 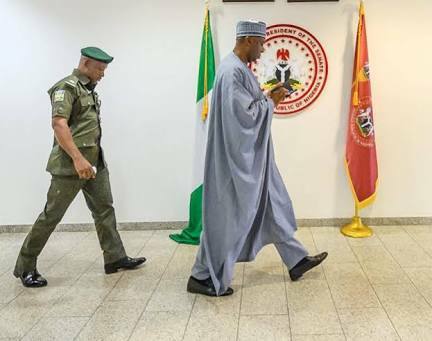 Senate President Bukola Saraki may need to deploy his dribbling tricks once again, as there are strong indications the police is determined to “get him”. Former Deputy National Publicity Secretary of the All Progressives Congress (APC), Comrade Timi Frank, has raised an alarm over a fresh plot to arrest Saraki, on the orders of the Inspector General of Police, Ibrahim Idris in connivance with the presidency. He described the plot as an act of desperation and utter wickedness by the IGP who is overly eager to redeem his image following the failure of the police to prevent Saraki from attending the sitting of the Senate on Tuesday where 15 APC lawmakers defected to the PDP. His words, “Recall that the police on Tuesday morning laid siege on the residence of the President of the Senate and that of his deputy in a bid to arrest and prevent them from attending plenary. Saraki was able to escape and presided over the Senate. “As you read this statement the SARS may already be storming the residence of the President of the Senate and I want to call on Nigerians to hold the IGP and the presidency responsible should any harm befall him following the plot to invade his residence in the dead of the night,” Frank said.